So Nanette‘s a world-wide success, earning rave reviews and gushing think-pieces everywhere you look for weeks online – which is basically decades by old media timescales – while giving Hannah Gadsby the kind of life-altering fame most performers could only dream of. Did anyone really think she was still going to quit? The thing is with quitting shows – or as they’re more commonly known, farewell tours – is that usually you can only do them once. You’re making a promise to your fans: you should come see this show, because it’s going to be special. And clearly Gadsby delivered on that promise – so much so that nobody with half a brain is surprised she’s now not giving up on comedy at all. 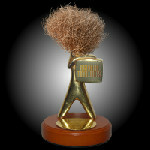 Last year Gadsby won every major live comedy award. How do you follow that? You quit. Get serious. Write an art lecture about that massive blind spot in the male gaze. And make it hilarious. This year Gadsby wants to show you how to value what cannot be measured, how to look at art through closed eyes and why we must use our imagination to find all those women who’ve been buried deeper than history is prepared to dig. This year Gadsby’s not joking, and she is so much funnier for it. And really, Gadsby had enough name recognition that Nanette was probably never going to “flop”. She’s a reasonably well known and well-considered comedian doing an attention-grabbing stand up show about how she’s quitting stand-up; it was a reasonable bet that it wouldn’t be in the bottom 70% of shows on the Australian festival circuit. She was rejecting comedy, comedy hadn’t rejected her. The real problem is that Gadsby is now famous the English-speaking world over for the kind of act she can’t do again. She can do a personal show; she can do a show that’s not about being funny; she can do a show about sexism and art; she can probably do a show that combines them all. But she can’t do another Nanette, and Nanette is what’s made her famous. Nanette works because it has a surprise twist. Nanette works because it’s a show by someone telling you what she really thinks on her way out the door. Nanette has an anger and an energy to it that comes from a performer with nothing to lose. It’s a one-time only deal, and that’s before we get into how it was largely the right show at the right time that tapped into a very particular point in the zeitgeist. Gadsby is a good comedian, but if the big social issue of 2020 is lethal heat waves or the return of Stalinism she’s probably not going to be doing Nanette II: It’s Getting Hot in Here. 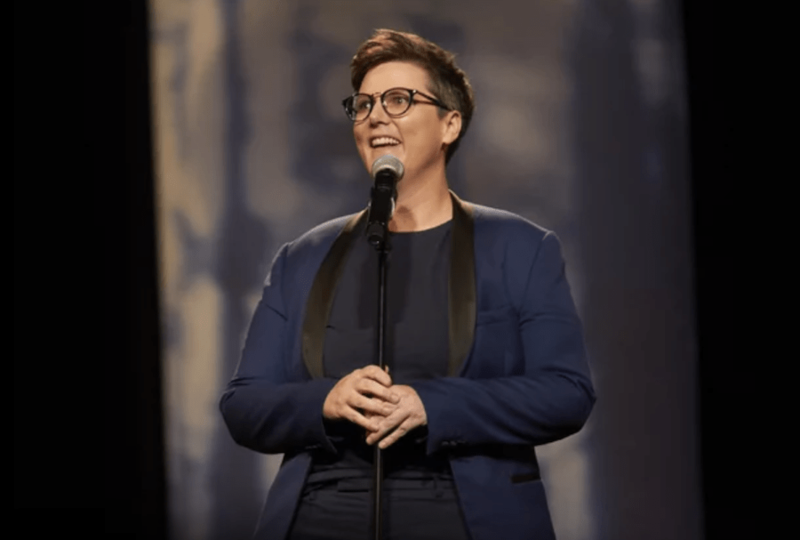 So here’s the paradox: Hannah Gadsby is coming back to comedy on the back of a success she almost certainly can’t repeat. That’s not a slur on her abilities – Nanette is the kind of success nobody could do twice, because its success is life-changing. Even if you disagree that Nanette was a one-off, clearly she can’t do Nanette again because she’s no longer the person who came up with Nanette. We’re not saying that her next stand-up show is going to be her talking about her new-found fame… but you know, that’s usually what happens in these situations and it’s all downhill from there. You can’t break though twice, and once you’ve broken through it’s hard to persuade regular people you’re just like they are. Of course she can be outspoken on issues; of course she can do a show looking back on her life before she became famous. But she’s still a famous success doing those things, and the changes everything. The other option is to try and sustain this moment. She’s already got a book coming out, Ten Steps to Nanette – though exactly when seems to be up in the air, as it was due out a month ago and she’s obviously been a bit busy. You’d have to think the offers from major networks to do something – anything – would be flooding in, and Gadsby’s already done a bit of acting in Please Like Me; is the world ready for Nanette: The Sitcom? On the personal side of things, she’s spoken out a number of times about how draining performing Nanette is for her; professionally, her decision to stick with comedy (or a form of comedy at least) means taking some time to figure out what’s next makes a lot of sense too. But reportedly Netflix deals are a one-time payment thing: while Gadsby is no doubt making extra cash from the extra live performances of Nanette, she’s not making any more money off her special now that it’s a massive hit. If she wants to take full advantage of the wave she’s riding, she may have to ride it a little while longer yet.